On my recent trip to Syracuse, I had the pleasure of meeting Michael John Heagerty, a young man who has his thumb firmly on the pulse of his city. In fact, “Mr. Syracuse” is all you need to say around town… everyone knows you’re talking about Michael John. Recently, ‘Cuse’s mover and shaker stepped outside his community to spend a few hours in neighboring Utica, New York, and here’s the twist… in true Urban Phoenix form, he traveled by Amtrak. I wanted to ask this urban icon about Utica and about traveling the state by rail in a short e-interview. ARIAN: What brought you to Utica? 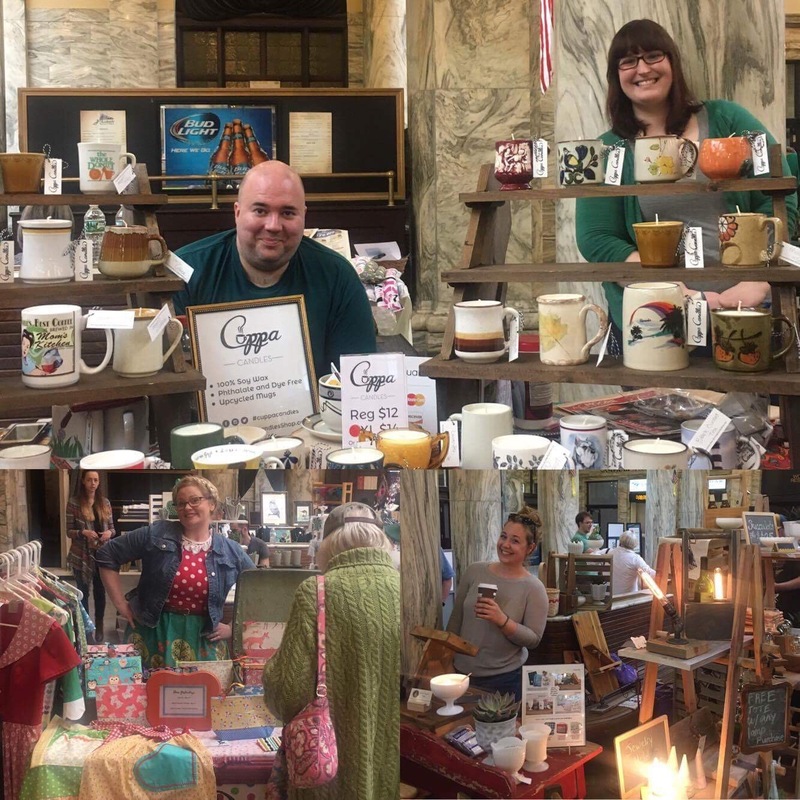 MICHAEL: I traveled with some friends who are part of a collective of artisan vendors who celebrate the anti-ordinary by selling their handmade wares at craft shows and our ever-evolving pop-up shop called the #infinitepop. 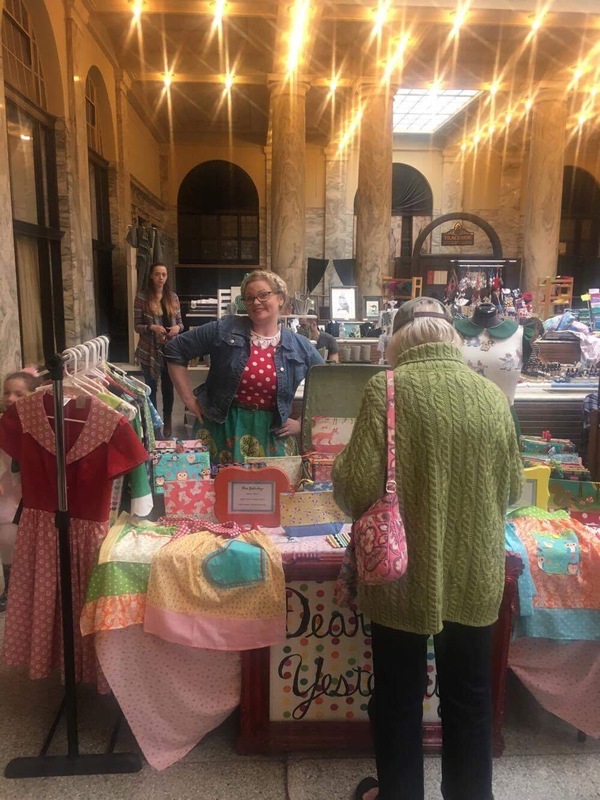 Our mission was to meet new vendors and sell our goods at the Indie Market at Union Station. MICHAEL: Let me preface this with the fact that I’ve never been to Utica. That being said, we (Sarah & Jason of Cuppa Candles) drove in and as soon as we turned off the exit, Willie’s Bagel Co. caught my eye with big banner out front that read Grand Opening. I said we should get breakfast sandwiches, but first we set up and get situated at the Train station for the Indie Market. Jason went and grabbed us some bagel sandwiches and I was super surprised to see one of the coveted rainbow/unicorn bagels return with him that are a phenomenon in big cities like Philly, DC & NYC. I explored every inch of Union Station and all the vendors and then went on an adventure on foot. I enjoy walking around and seeing the sights and getting to know the area I’m in by simply following my curiosities. My train back to Syracuse would leave just before 3pm so I only had a few short hours to explore. I left out a side door and explored the warehouses along the tracks for a bit. I’m told there’s an outdoor farmers market on the weekends in that area. I walked and studied the landscape (similar and all too familiar to many upstate towns). I noticed a sign for a café and headed over to grab what would be my 3rd coffee of the day at Bagg’s Square café. The look was simple and clean and as I waited for my iced beverage, I saw a wicker basket holding small fliers that were short historic collector cards showcasing facts about the neighborhoods past. (Admittedly I must have looked like a whacko as I enthusiastically tried to collect them all!) I figured I’d brush up on the train back and read about Civil War Drafts and famous past residents like presidential candidate Horatio Seymour (who lost to his republican opponent General Ulysses S. Grant.) I strolled past the Thincubator and the new Doyle Lofts in construction. I noticed a mural depicting early history on a chronological timeline of the area. Although it may not seem like much, I had a great time seeing the potential of the neighborhood as I strolled and consumed its industrial appeal. ARIAN: As a community leader in Syracuse, what did you see in Utica that made you feel like Utica is headed in a positive direction? 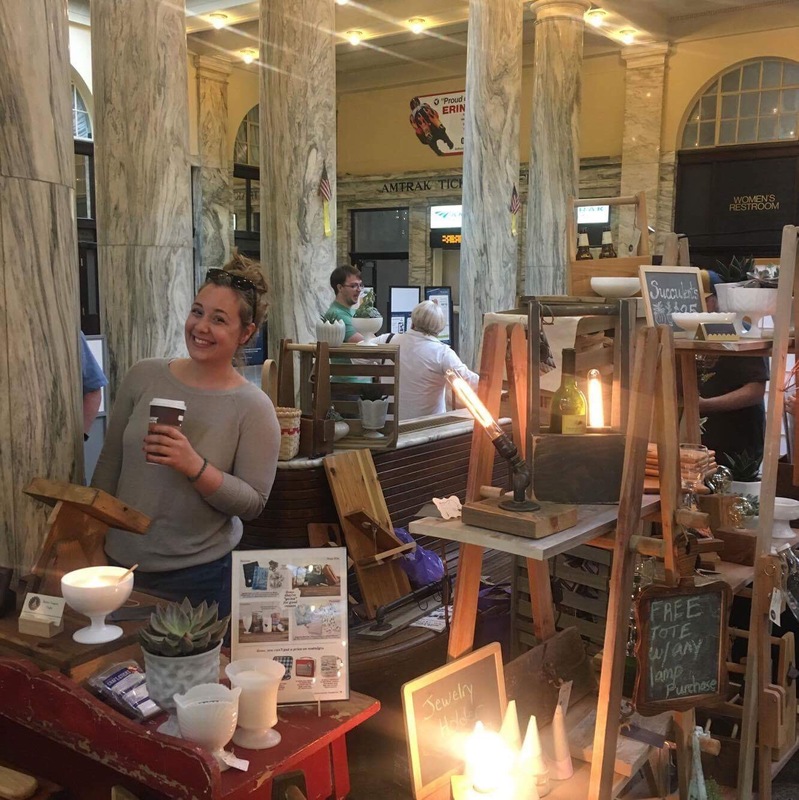 MICHAEL: It’s the little things like new small family run business, local programming such as the Indie Market, new loft construction and an entrepreneur and innovation encouragement center all within in a few short blocks of the spectacularly nostalgic Train depot. I suppose commerce, trade and industry practices evolved over time, the area’s prosperity faded but there’s moves being made to reclaim the once prosperous historic neighborhood I visited. 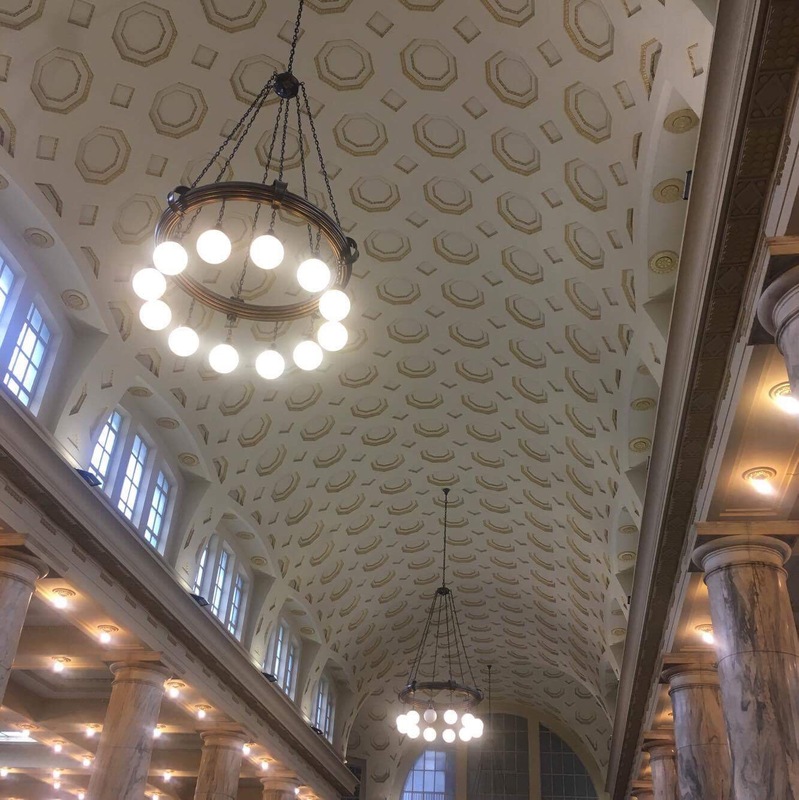 ARIAN: You traveled home from Utica by Amtrak… how was your experience “city hopping” by rail? MICHAEL: I rode the rails back from Utica to Syracuse thinking I could rest a little, but I always end up getting caught up in the romanticized nostalgia of traveling by train. So, basically my face was glued to the landscapes and sights whizzing by outside my window. It’s a great way to travel if you aren’t trying to make deadlines. ARIAN: What do you see in Utica’s future? How does this vision compare to that of Syracuse? MICHAEL: Utica has growth in its local pride and it all starts there. Using an area’s history as the driving force to reclaim/resurrect unique neighborhoods is the start of something for sure. I don’t play the compare and contrast game with other cities to my own so that I may keep my efforts genuine to the area, but I will say this: Rust Belt Cities of Upstate have their own unique qualities and although on the surface they seem similar and share characteristics, each deserve to be showcased for their homegrown blends of traditions and cultures. As more and more people visit our cities in transition, it’s important to see what they have to say. Often we become so complacent in our view of what we have to offer, we forget that an outside perspective is so vital to understanding what we represent. Michael told me he was looking forward to visiting Utica again, and I will be sure to send him a list of all my favorite stops!